Matt Cranitch, who lives in Cork, is renowned as a fiddle-player and teacher, both at home in Ireland and abroad. He has performed extensively with various groups at concerts and festivals, as well as on radio and television. He has also presented lectures, master-classes and workshops on various aspects of Irish music, particularly fiddle-playing. 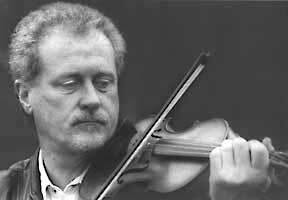 He is author of The Irish Fiddle Book, first published in 1988 and now in its fourth edition. This book, with accompanying CDs, explains and shows in detail the various techniques used by fiddle-players in creating a traditional style of playing. “The Irish Fiddle Book is a must for every serious student of Irish fiddling.” – Folk Roots. He has also contributed to a number of other books on Irish traditional music. He has a particular interest in the music of Sliabh Luachra, which is located in the south-west of Ireland, and which has a distinctive style and repertoire of traditional music. He has successfully completed a Ph.D. on the fiddle-playing style of this region at the Irish World Music Centre, University of Limerick, where he also teaches traditional music performance. In recognition of his work on the music of Sliabh Luachra, he was awarded a ‘Government of Ireland Senior Research Scholarship’ in 2002. His current band is Sliabh Notes, which also includes Dónal Murphy and Tommy O'Sullivan. They have performed at many venues and major festivals, including Milwaukee Irish Fest, the largest Irish festival in the world, the North Texas Irish Festival in Dallas, Copenhagen Irish Festival in Denmark, Torino Festival in Italy, the Camden Festival in London, and many many more. Their most recent album, "Along Blackwater’s Banks", has been highly praised and has received much critical acclaim: “One of the best albums to be released this year so far comes form Sliabh Notes.” – Irish Post. Matt is a regular contributor to radio and television programs as a performer and commentator on matters relating to traditional music. He is traditional music consultant for TG4, the Irish-language television service. “An exceptional musician and an authority on Irish fiddle-playing, Matt Cranitch has been a major force in Irish music since the early 1970s.” – The Rough Guide to Irish Music. In 2003, he received the ‘University College Cork Hall of Fame Award’ in recognition of the contribution he had made to Irish traditional music. To mark the 10th anniversary of Tommy O Sullivan’s debut album - Legacy, it has been digitally re-mastered and released on cd. Originally released in 1993 on cassette only, Legacy was very well received and far exceeded sales expectations. It also marked the beginning of a number of enduring collaborations with contributions from renowned fiddler - Matt Cranitch with whom Tommy went on to form Sliabh Notes together with Donal Murphy (4 Men and a Dog). Steve Cooney played guitar and fretless bass on Legacy and later appeared on the first three Sliabh Notes albums.